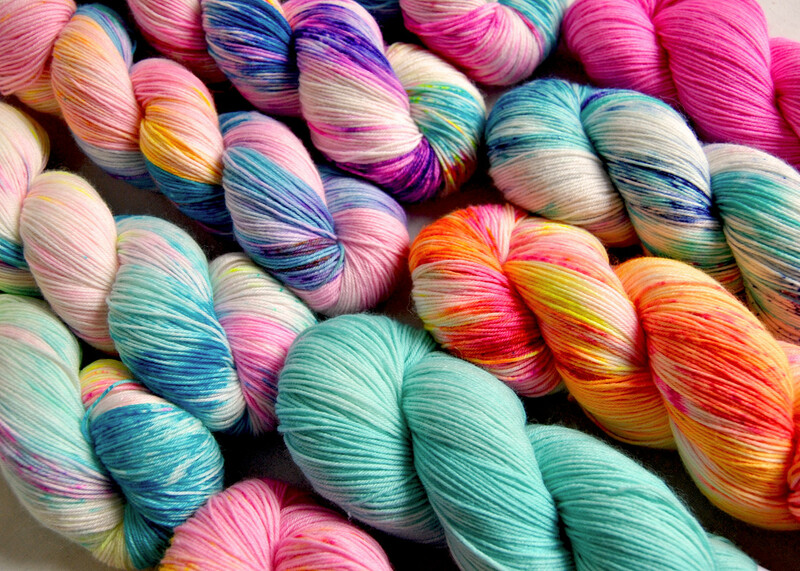 - Is your yarn cruelty free and/or eco-friendly ? I source my yarn to producers that absolutely don't do mulesing or any other cruel practise to animals. As a vegetarian the animal cause is really important to me. Regarding the environmental part as most dyers is use acid dyes. I try in my dye process to minimize the dye particules in the waste water. In order to do that I let my yarn exhaust dye particules completely until the waste water is crystal clear. For some colors I may need to let it exhaust overnight. I really want my waste water to be as pure as possible to have minimal impact on the environment. - Why don't you have more shop updates ? I try my best to do at least one shop update per month, but it's pretty difficult to do more because I'm a one woman business :) But I will try my best in the future to make more shop updates ! - Can you dye a sweater quantity of a colourway I need in a custom order ? and do you accept custom orders at all ? Yes of course ! Just contact me and let me know what you need and I will try my best to dye something for you !